Tri dominoes is a more challenging version of this classic table game. 56 hardwood handpainted triangular dominoes come in a beautiful timber box with a lid. 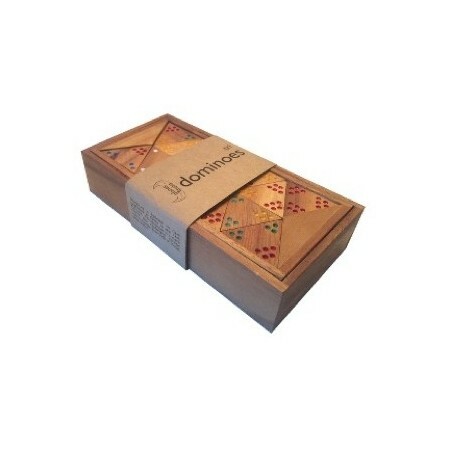 56 hardwood handpainted triangular dominoes come in a beautiful timber box with a lid. Three sides can match instead of 2, making it a more challenging game of traditional dominoes. Build bridges and hexagons for added bonus points. Includes tiles with all numerical combinations from one to five. Includes easy to understand rules. Box: approx 22cm x 11cm x 4cm.